Arty Bolick's practice focuses on Construction Law and Commercial Litigation. Mr. Bolick's construction practice involves representing owners, developers, design professionals, construction managers and general contractors in all phases of a construction project. While litigation is a primary focus of Mr. Bolick's construction practice, he also seeks to provide value to his clients by assisting with contract negotiation and in-project conflict resolution in an effort to avoid the expense of litigation. Mr. Bolick also represents public owners in procurement compliance and contract drafting. He is particularly knowledgeable regarding the construction manager at risk delivery method for public entities and has represented both public owners and construction managers in connection with construction manager at risk projects. Of course, not all disputes can be resolved without legal action. When litigation arises or becomes inevitable, Mr. Bolick represents clients in state and federal courts, as well as in alternative dispute resolution settings such as mediation and arbitration. Mr. Bolick's business litigation practice consists of representing clients in all manner of sophisticated business disputes, including claims for breach of contract, negligence, unfair and deceptive trade practices and deepening insolvency. He has represented clients in trials in state and federal courts, as well as in appeals to the United States Courts of Appeals for the Fourth, Federal and Seventh Circuits and the North Carolina Court of Appeals. 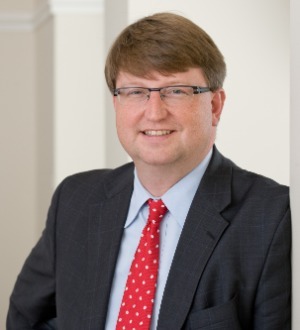 Mr. Bolick has long been active in the Construction Law Section of the North Carolina Bar Association, currently serving as the Section Chair. Mr. Bolick previously has served as Section Vice-Chair Section, Chair of the CLE Committee and Annual Meeting Committee, as well as a member of the Section Council. "Public Contracting in a Down Economy," Construction Law Section, North Carolina Bar Association, Winter CLE, 2009.